Black and Blue: The voices of African-American police officers. Third in a series. When the lieutenant knocked on the door for the background check, Quincy Iverson was blasting N.W.A. through his stereo speakers and drinking his second 40-ounce of the day. He was four months out of the Army, a newlywed, working as a Sears carpet cleaner and in need of a better job. Iverson let the white cop in and turned down the music. Three decades later, Iverson still isn’t sure how he got hired by the Akron Police Department. He had a juvenile record from teenage stunts like stealing from the mall. He flunked eighth grade after a house fire forced him to relocate to a hostile neighborhood and fight his way home most days. At 5-foot-5½, he worried about meeting the height requirement. He dreamed of becoming a famous rapper, not a cop. “But the grace of God, some way, somehow, they hired me,” Iverson said. Before retiring in September, Iverson, 50, spent 26 years as a patrol officer on the same hardscrabble streets where he grew up, got married and raised his own three children. Akron’s population of 198,000 is 30 percent black and has been declining since tire manufacturers such as Goodyear and Firestone began moving factories elsewhere. The poverty rate (26 percent) and murders (30 in 2016) are rising. The police force of 450 officers is about 20 percent black. Despite Akron’s problems, Iverson reps his city as hard as native son LeBron James has. He can hardly walk a block without someone giving him some dap or a hug — and he’s not going anywhere. Rap has always been Iverson’s oxygen. He started performing in junior high school and was inspired by lyrical pioneers such as the Treacherous Three, Kool Moe Dee, Rakim, LL Cool J and Big Daddy Kane. 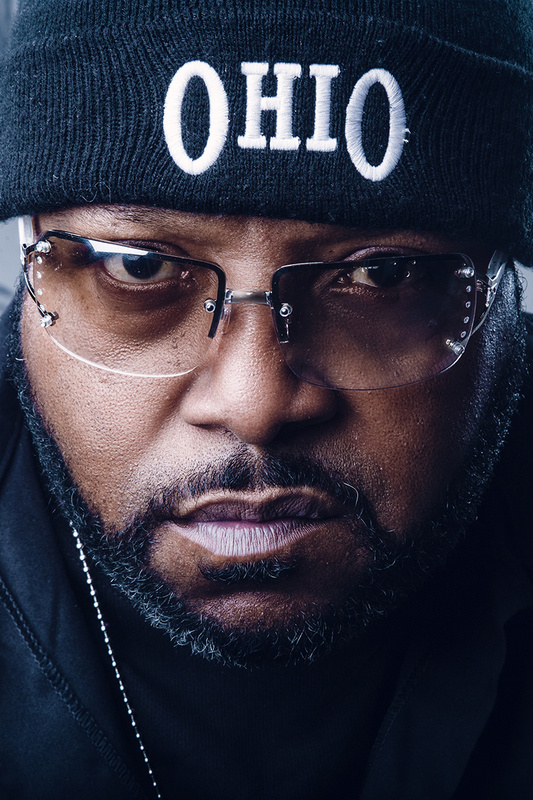 His crew gained some local fame, but a rapper in Akron before the internet, and more than a decade before Cleveland’s Bone Thugs-N-Harmony put Ohio on the hip-hop map, had little chance of going national. And Iverson’s day job didn’t help matters, once N.W.A. F’d tha Police and rap became dominated by those who broke the law, not enforced it. Iverson concealed his identity behind a rap name, the Copley Road Bully, that combined his neighborhood and his childhood misbehavior, and he never stopped writing lyrics, making beats and recording songs.